Alvin Gene Toops, 87 passed away on March 30, 2019 in Sisters on Elm in London, Ohio, where he had been in Hospice care. Born in Pickaway County, Ohio on February 5, 1932 to Weldon and Ethel Mae (Bowshier) Toops. On February 11, 1955 he married Anna Lou (Radabaugh) Toops. They enjoyed traveling together for many years. He served in the U.S. Army from November 1956 until October 1962. Alvin worked at Land Mark and Range Township, and after retiring worked for Roby Memorials and set many footers in the area. He attended the Nazarene Church of Mount Sterling, and loved fishing and trapping. He loved gardening and blessed many with his vegetables. He also loved his nieces and nephews, whom he spoiled. Alvin leaves behind his loving wife of 64 years, Anna Lou; brothers Raymond and John (Thelma) Toops; brother in law Clyde Moore; sister in law Connie Toops and several nieces and nephews. He is preceded in death by his parents, brothers Weldon, Roy and William "Bill" Toops; sisters Margaret Moore and Helen (Elmer) Dickson; sisters in law Grace Toops and Lois Toops. The family invites friends to call at the Nazarene Church of Mount Sterling on Tuesday from 4-7 PM, where service will be held Wednesday at 11:00 AM with Pastor Dortha Ross officiating. Burial in Pleasant Cemetery. In lieu of flowers, the family asks memorial contributions be made to the church. 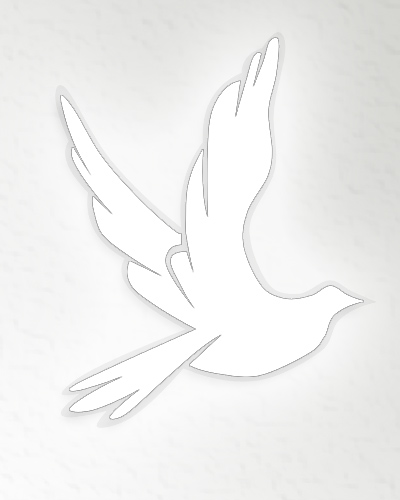 RADER-LYNCH & DODDS FUNERAL HOME & CREMATION SERVICE has been entrusted with Alvin's services. Condolences may be made at www.rldfh.com.